If you are looking for a healthy, complete meal without having to prepare additional sides, Sensational Fiesta Chicken fits the bill. This dish uses three different Sensational Seasonings along with baked chicken, green beans, tomatoes and cheese. 1. (Optional) Dissolve table salt in a small amount of hot water, then add enough cold water so that you can cover the breasts. Chill the brine with ice cubes. 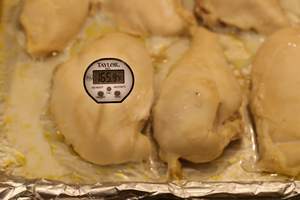 Immerse chicken breasts in brine and refrigerate for at least 3 hours (6 hrs is ideal). Dispose of brine liquid and rinse breasts with tap water to remove excess salt. 2. Place breasts onto a baking pan. Bake the chicken breasts for about 35 minutes making sure the internal temperature of the breasts reach 165 degrees. Don’t overcook the breasts to keep them tender and moist. 3. When the breasts are cool enough to handle, use a sharp knife and cut them across the grain of the meat, almost through. 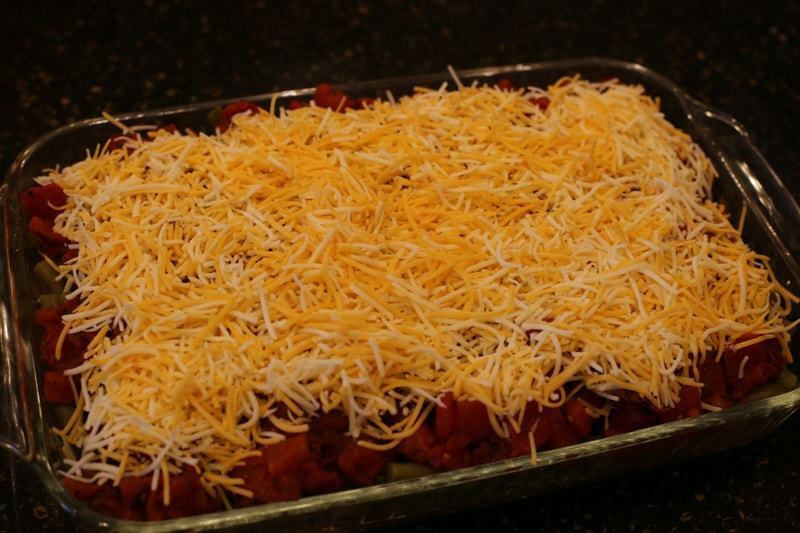 Sprinkle Chicken Seasoning inside the cut and place a sliver of Munster cheese into the openings. 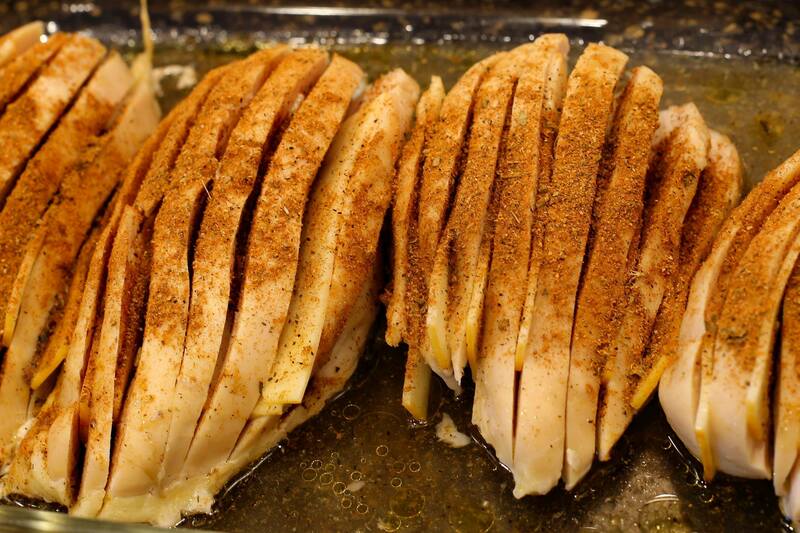 Lay the chicken breasts side by side in a 9 x 13 glass cooking dish. 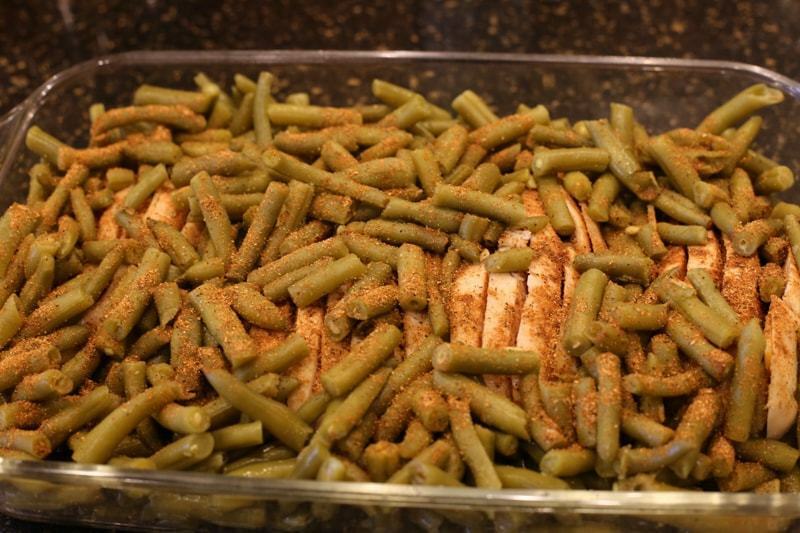 Feel free to add an extra sprinkling of Chicken Seasoning on top of the prepped chicken breasts after placing them into the baking dish. 4. 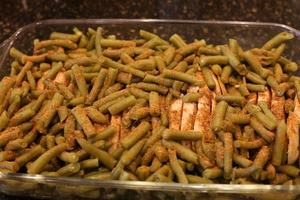 Completely drain the green beans and spread them on top of the chicken breasts. Sprinkle beans liberally with Sensational Seasonings Pork Rub. 5. 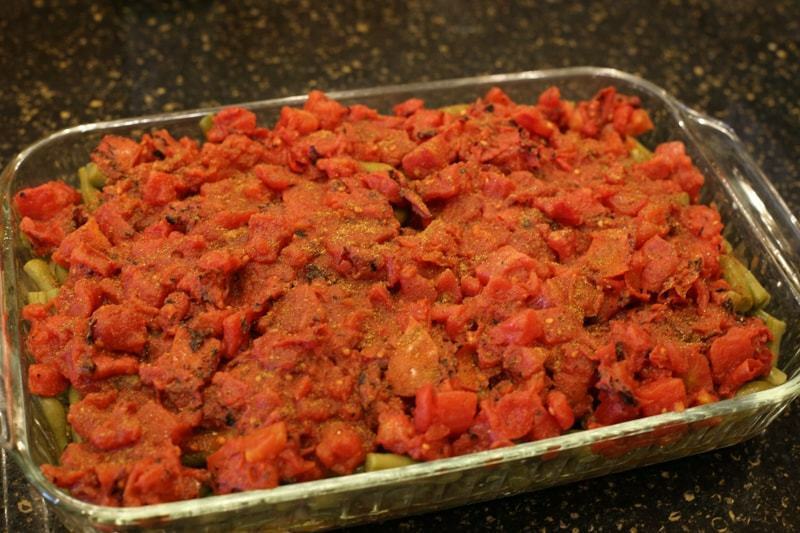 Drain excess liquid off diced tomatoes and spread them evenly on top of the green beans. Sprinkle tomatoes liberally with Sensational Seasonings Jamaican Jerk. 6. 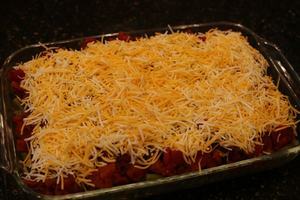 Cover the tomatoes liberally with grated cheese. Bake in a pre-heated 350 degree oven to thoroughly heat the dish and to melt and toast the cheese on top (approximately 20 minutes). 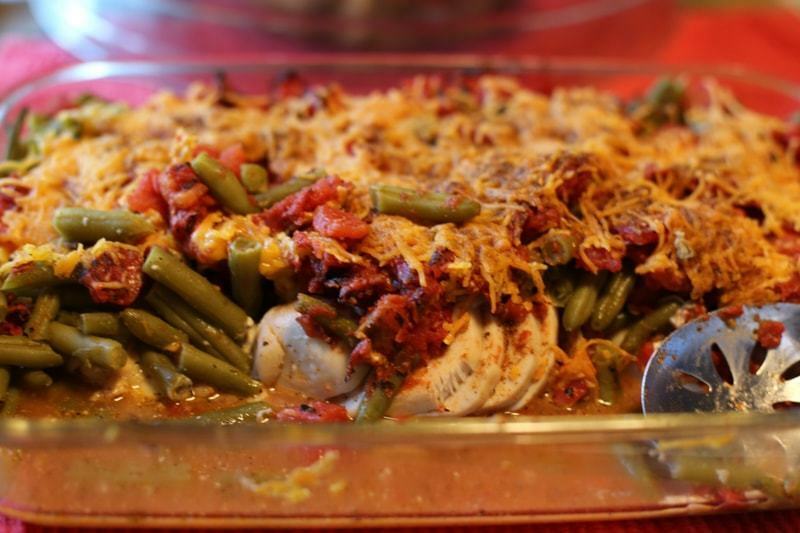 Great, all done…now dish up this healthy casserole and enjoy!